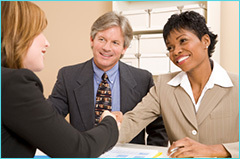 Perfect Profiles Ltd is a registered provider of dental services. This means that Perfect Profiles is responsible for making sure that patient care is centred on the patient’s needs, which is monitored by the CQC. 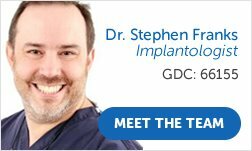 The GDC registered dentist is solely responsible for any advice and the treatment given to the patient. Consequently, any contractual agreements for the treatment are between the patient and dentist only and not with Perfect Profiles Ltd. 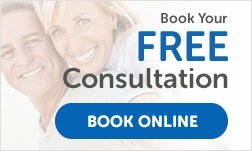 The normal fee for a consultation is £120, but your initial consultation is completely free of charge. 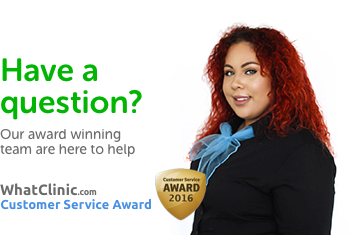 Should you require further consultations or reviews, the normal fee of £120 will be charged. Should you need to use our consultation notes for any 3rd party needs or actions, then again we would charge our normal consultation fee of £120 before releasing such information. Due to the length of appointments we do hold a deposit of £250 that can be charged in cases of short notice cancellation or failure to attend. If the deposit is not used as a charge, it will be used towards your final balance. If you have paid your deposit and then change your mind more than 7 days’ notice prior to your first appointment (but within 2 months of paying deposit) there will be an administration fee of £50. If you have paid a deposit and cancel your first appointment but this is more than 2 months after the deposit payment, Perfect Profiles will retain the deposit. This fee will not apply in the event that a genuine medical reason prevents you from proceeding or continuing with treatment (evidence may be requested for this). The administration fee will also not be administered if the planned treatment cannot proceed for dental reasons and there is no acceptable alternative. If you change your mind less than 7 days prior to your first appointment, Perfect Profiles will retain your full deposit. When agreed between Perfect Profiles Clinics and the patient, the deposit can be held to secure pricing on a treatment plan for a period of up to 12 months. 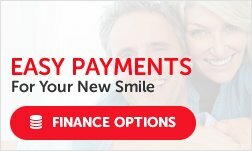 If you wish to subsequently proceed with treatment after this period, you will need to pay a new deposit (and you may be required to undertake a new consultation) before treatment proceeds. If a plan is agreed to be placed on hold (for up to 12 months from date of deposit) but the patient decides to then cancel their treatment at any stage within this period, Perfect Profiles will retain the deposit in full. 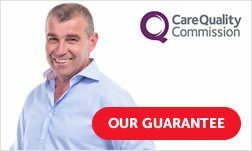 In the unlikely event of failure, all laboratory/prosthetic work carries a 1 year guarantee. For Crowns, bridge and veneer treatments, although rare, it is possible that additional appointments are needed for minor refinements, such as re-fixing, re-cementation, initial bonding failure and the need for minor polishing. The above treatments will be made free of charge for first appointments, but will not cover travel expenses, accommodation and/or absence from work. Should the problem persist after the initial refinement appointment, and the problem proves not to be a clinician issue, then there may be a small chair time cost applicable. Prosthetic components (crowns, bridges or dentures and hybrid prostheses) may need replacement after a period of time. Cement that retains the crowns and bridges may wash out over time and require re-cementation. This is not part of the guarantee but a normal planned maintenance requirement. Dentures will wear over time and need replacement. 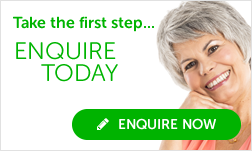 Dentures may also need refining to ensure the best fit and whilst this treatment will be made free of charge for the first appointments, Perfect Profiles will not cover travel expenses, accommodation and/or absence from work. Should the problem persist after the refinement appointment, and the problem proves not to be a clinician issue, then there may be a small chair time cost applicable. The retentive components attaching dentures to implants will need to be changed on average every year. This is also not part of the guarantee and a normal maintenance requirement that will result in fees being charged. Temporary, provisional and “immediate” acrylic dentures and temporary crown and bridgework (see below) are not subject to any guarantee. It is also necessary to point out that given the infinitely variable nature of the human body, there may be unforeseen circumstances that occur that are beyond the clinician’s control such as root canal treatment after teeth preparation. These may incur extra costs. There may also be unplanned and unpredictable events that require additional appointments, repeat procedures or extra stages to your care. Perfect Profiles and the clinical team will always act in the patient’s best interests. 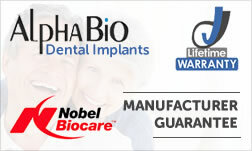 Implants have a 10 year (Camlog) and lifetime (AlphaBio (part of Nobel Biocare’s range of Implants)) guarantee, as provided by the manufacturer. Any guarantees given by implant manufacturers are limited to the implant material and exclude implant failure due to biological reasons. 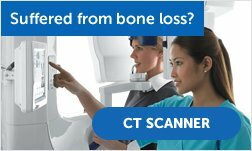 However, in the rare case of non-integration of the implant you will benefit from a Perfect Profiles Peace of Mind guarantee that the dentist will replace the failed implant free of charge on one occasion provided that bone conditions are still suitable. It is down to the treating dentist if they have a reason to refuse a guarantee case if they feel the patient has faltered with any of the factors listed below; This guarantee is limited to the replacement of the dental implant(s) and excludes any additional costs (e.g. additional bone graft(s), medication(s), travel expenses, and/or absence from work etc.). There will be no refund of fees. 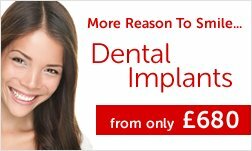 In the instance that it is not possible to replace the implant an alternative treatment plan will be provided at the same cost level, however, it may also incur extra charges. These are only a temporary measure and are placed for aesthetic purposes only. Due to changing gum conditions throughout treatment, it is impossible for Perfect Profiles to guarantee a perfect fit. Patient cooperation and understanding is needed to adapt to wearing and eating. Given timescales for treatment must be adhered to, especially in situations where temporary prosthetics are prescribed. The prolonged use of temporary solutions (dentures/crowns/bridges) can result in the destruction of supporting structures due to improper loading on natural teeth. If the patient fails to visit a Perfect Profiles clinic for a routine check-up/dental implant review appointment at least once a year. 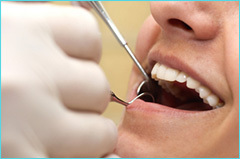 If the patient neglects their oral hygiene (regular maintenance by a dental hygienist is strongly recommended). If another dental clinic has carried out any corrective or additional treatment on dentistry or laboratory work provided by Perfect Profiles. If removable restoration such as partial dentures or full dentures are not kept and maintained properly. If the gum tissue or teeth bone is naturally reducing. If the patient is a smoker. If the patient loses or gains a substantial amount of weight during a short period of time. In case of accidental damage, for example dropping dentures. If the gum tissue or supporting bone reduces due to disease (periodontal disease, diabetes, osteoporosis) or to the effects of medications or treatments (such as bisphosphonate therapy, epilepsy, chemo or radiotherapy). If the patient does not follow the treatment time line or does not complete the full treatment recommended by your dentist and shown on your treatment plan/s.